The Manaslu is the 8th highest peak on earth and is surrounding by the beautiful Manaslu Conservation Area. 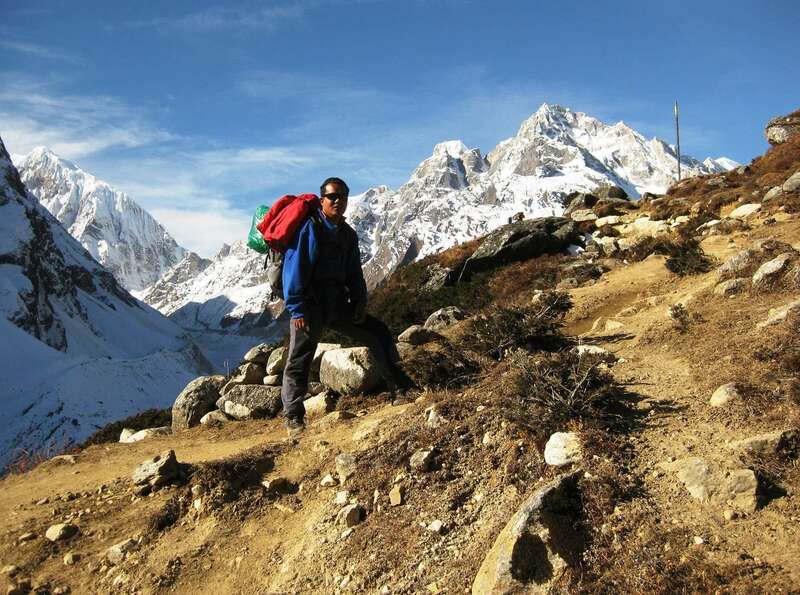 Manaslu Circuit Trek is a strenuous trek. It combines the mind-boggling views of the snow-capped peaks such as Manaslu, Himchuli, Ganesh Himal and Kang guru. The presence of rocky paths and glaciers make it a fatal yet an equally adventurous trek. So, proper acclimatization is mandatory for the Manaslu circuit trek. A tea houses trek is being famous among the travelers and accompanied by the warm hospitality of the locals of the regions. 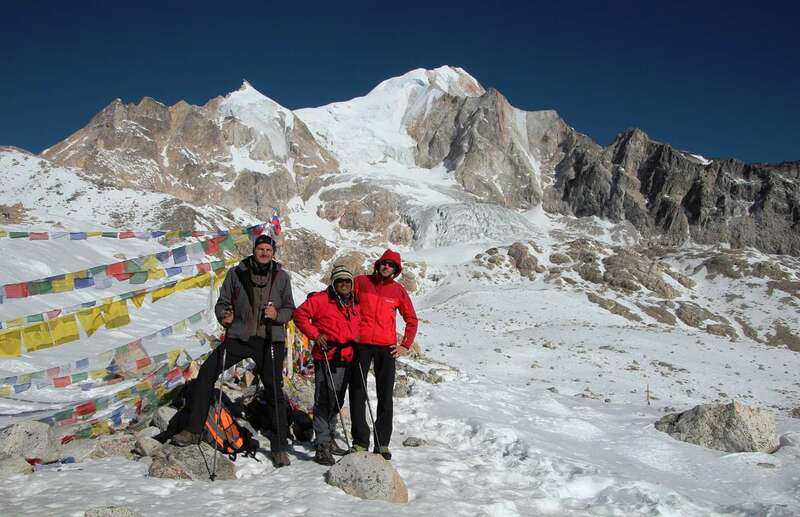 But, tourism has flourished along this circuit, and the Manaslu circuit trek no longer requires any camping. As most other treks, Manaslu Circuit Trek also follows the Budi Gandaki Valley all the way to start from Arughat. It passes through some pleasant villages, forest, and terraces. Furthermore, it goes towards subtropical to the high arid alpine pastures with excitement and thrill of crossing Larkya La pass which separates the Annapurna and Manaslu region. The trail goes through the Larkya glacier, but the views of the mountain as mentioned above are extraordinary. Indeed, the trek out to the gorgeous meadows and exit to the well-known Annapurna Circuit Trek at Dharapani. 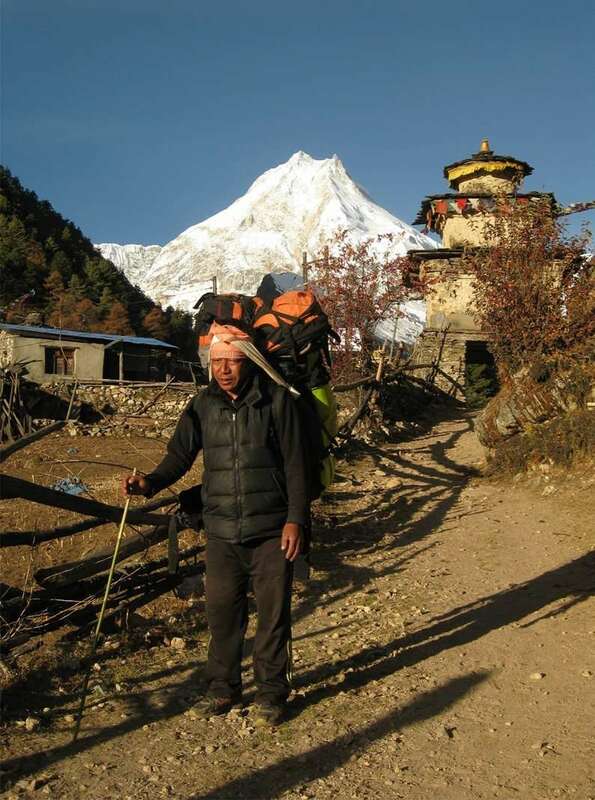 Everything you need to know about Manaslu circuit trek itinerary which possesses complete information together with its notable attractions: besides, various viewpoints, monasteries, gompas are the main attractions of the Manaslu circuit trek. 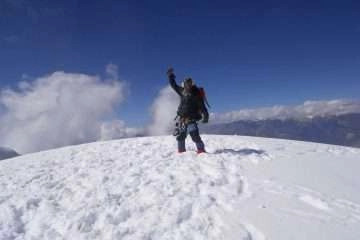 So, it makes Manaslu circuit trekking is one of the unforgettable treks of Nepal. The whole region mostly has Buddhist influence and is beautifully adorned with prayer flags. However, Hindus also reside in these areas in perfect harmony with the Buddhist. 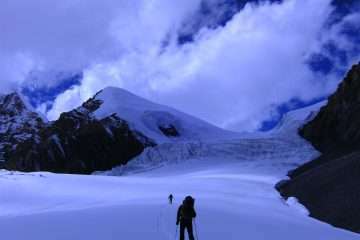 The trek can be completed with no trouble and full contentment besides the help of proper acclimatization and know how’s of the area. Kathmandu – Arughat – Jagat – Samagaon – Dharamsala – Larkya La Pass – Bhimthang – Dharapani – Bensishahar – Kathmandu. Day 5: Labubensi – Khorla Bensi (970 m) 6h00 walk. After the breakfast in the morning we head to Khorla Bensi passing by rocky trail, descend to Budi Gandaki river bank, walk along the sand then climb aside and down to cross a suspension bridge to reach Machhakhola and some up and down get Khorla Bbensi. Day 7: Jagat – Deng (1,804 m): 6h00 walk. Day 8: Deng – Namrung (2630 m) 6h00 walk. Day 9: Namrung – Samagaon (3530 m) 6h00 walk. Day 10: Samagaon – Acclimatization day! 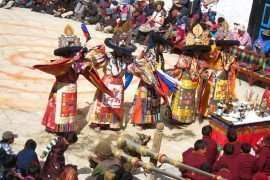 Samagoan is an ancient Tibetan village, where we spend a day for rest and acclimatization. The village is enriched in culture and typical settlements. 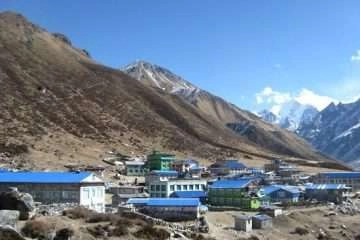 This village is considered first base camp for Manaslu expedition. This day you allow exploring Birendra Lake, Pungen monastery, and village. Day 11: Samagaon – Samdo (3860 m): 4h00 walk. Day 12: Rest Day in Samdo. Rest day in Samdo set up you proper acclimatization. The day allows you to discover desert valley in Tibet border and hiking opportunities above the village. Day 13: Samdo – Dharamsala (4460 m) 4h00 walk. Day 14: Dharamsala – Bhimthang (3800 m) 8h00 walk. A short climb after we enter a valley on the north side of Larkya Glacier. Horizontally, walk along the alpine valley leads Larkya – La at 5,218 m reward pristine mountain scenery of Annapurna and Ganesh Himal range, then long descend to Bhimthang. Day 15: Bimthang – Tilije (2300 m) 6h00 walk. As usual as other days, we start our trek in the early morning. Once, enjoy with great views of Mt. Manaslu, Lamjung Himal, and Himlung Himal. We descend towards Tilje passing through the high pasture, rivers, and rhododendron forests. Finally, get in Tilije. Day 16: Tilije – Tal (1700 m) 6h00 walk. Day 17: Taal – Bahun Danda (1340 m) 6h00 walk. Day 18: Bahun-Danda – Bensishahar (900 m) 6h00 walk. DEPARTURE Please report at least 3 hours before the flight. Prices are quoted and payable оnӏу іn (US$ dollars). Aӏӏ prices published оn our websites, brochures, and marketing materials are set as low as possible. Thе trip prices may vary at any time subject to government actions, numbers оf travelers, duration of holidays, standard hotel. An increase in transportation costs due to hike fuel prices before we have accepted your booking. But, we guarantee our prices which have already signed up for your tour. Please consult us to get a custom quote.